Blood is constantly moving inside the human body. It is distributed to all parts of the body so it can deliver oxygen to internal organs. This ability to move is due to the pressure exerted by the heart when pumping. The faster the heart pumps, the higher the blood pressure rises. Blood pressure is at its highest when the heart pumps the blood, which is what we call as heartbeat. This is called the systolic pressure. When the heart is at rest, between beats, blood pressure falls. This is the diastolic pressure. The systolic and diastolic pressures are often stated as a fraction. For example, if your blood pressure is 120/80 (120 over 80), then we can say your heart pumps blood one-half more times than when it is at rest. A healthy person’s blood pressure changes during the day. It falls during sleep, and rises upon waking up. It rises when a person engages in physically demanding activities such as sports. It can also rise when a person feels excited, nervous, or angry. But, blood pressure stays pretty much the same whether we are sitting or standing still. do not have other conditions such as diabetes and kidney disease. When the level stays as high as 140/90, or even higher, then that person surely has high blood pressure. With high blood pressure, a person’s heart works harder, and the arteries take a beating. The chances of having a stroke or a heart attack, or suffering from kidney problems are greater in a person with high blood pressure. A person with primary high blood pressure usually don’t know what the exact cause of the condition is. In fact, research in this area continues as doctors try to find more effective cures for high blood pressure. On the other hand, high blood pressure caused by taking medication or a another medical problem is called secondary high blood pressure. The latter kind of high blood pressure is more treatable than the former. It is useful to note that a blood pressure of 130/80 or higher is considered high blood pressure in persons with diabetes and chronic kidney disease. High blood pressure is most often associated with the aging population. In general, more men than women have high blood pressure. 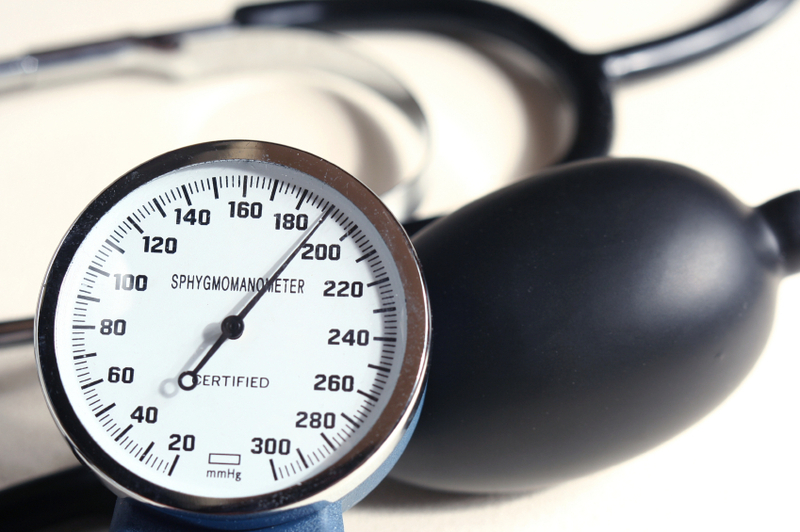 More than half of all Americans over the age of 65 have high blood pressure. More than three-quarters of women aged 75 and over have high blood pressure, while 64% of men aged 75 and over have high blood pressure. Among older women, those undergoing menopause show an increase in systolic pressure. This is because the loss of estrogen, which accompany menopause, may result to increased stiffness of the arteries. In another study, more menopausal women who are undergoing hormone replacement therapy have high blood pressure than those not taking hormones. Persons who are obese are at a higher risk for high blood pressure. Lack of exercise makes it easier to become overweight and increases the chance of high blood pressure. People who drink a lot of alcohol or take illegal drugs like amphetamines and cocaine are also at risk of developing the condition. In some cases, medications like steroids or birth control pills can also cause high blood pressure. High blood pressure is two – three times more common in women taking oral contraceptives for five years or longer than in women not taking them. Pregnant women also may be diagnosed with high blood pressure, which is known as preeclampsia, or toxemia, although the condition is an uncommon one. Only about 6% to 8% of pregnant women get this condition.